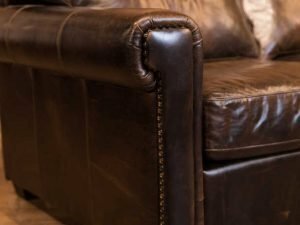 Inherent in square arms. 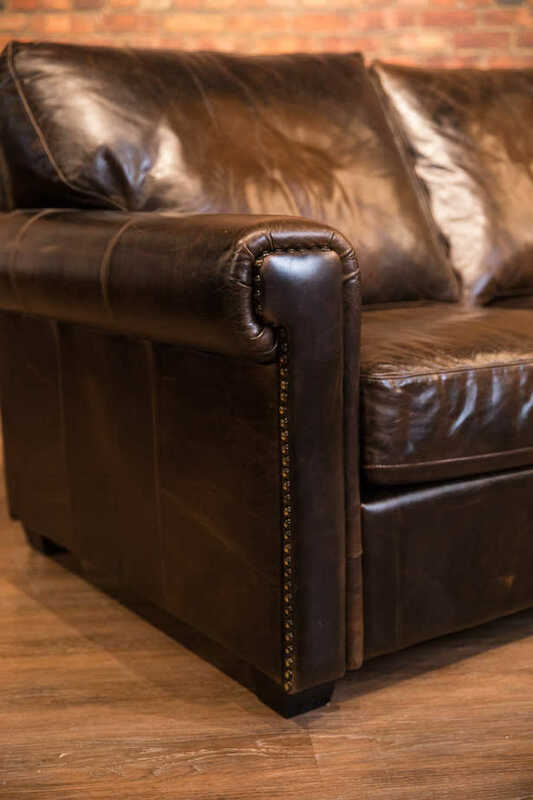 The stud treatment is placed on the outside edge of the front arm face plate making the studs less obvious and again unique. 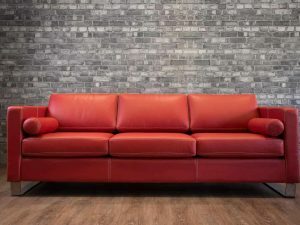 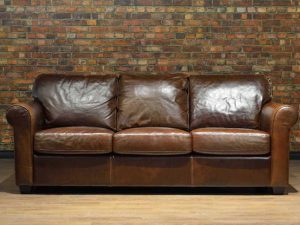 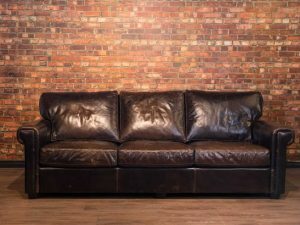 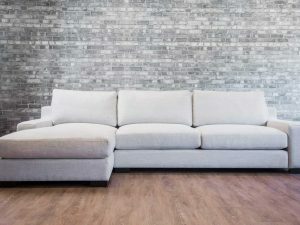 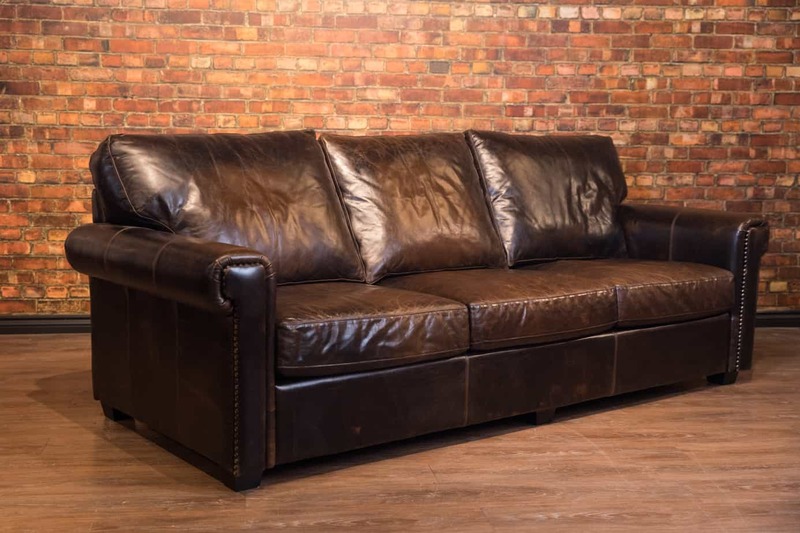 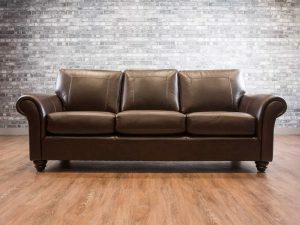 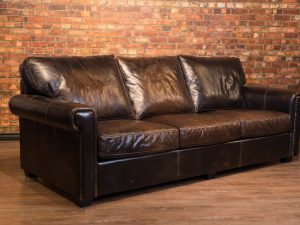 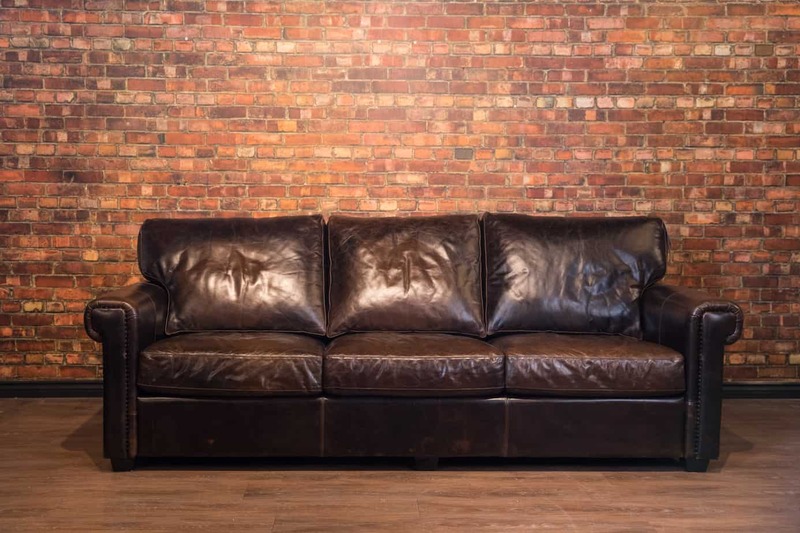 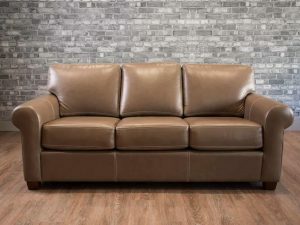 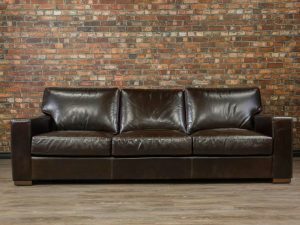 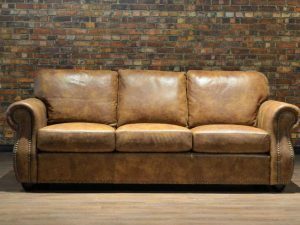 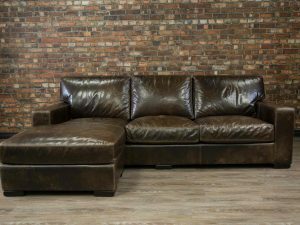 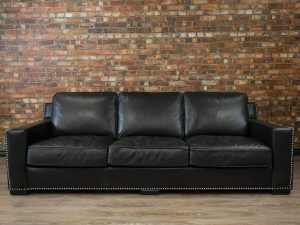 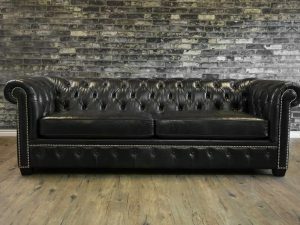 This Sofa has sustainable worm free kiln dried wood and made with top grain leather and platinum level foam and fills as well as feather Filled Seat Toppers.